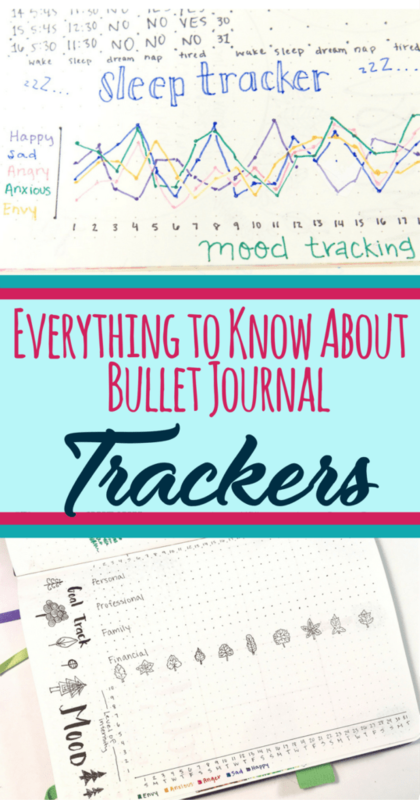 Trackers are a critical component that sets a bullet journal apart from many other planner systems. Not saying that you can’t have trackers in a planner, but it would take a little extra planning to make it work. Not everybody uses bullet journal trackers in their notebooks, but I’d be willing to bet majority do. My friend Sarah can make a stellar tracker… literally! Get inspired by her Instagram here! Bullet journal trackers serve as a guide to teach you more about yourself. Sometimes, they go a step further by helping you achieve something important. I’ve outlined all the different types of trackers below with some information on how to maintain them. I love how Fay combined her trackers! Check out more of her work here! 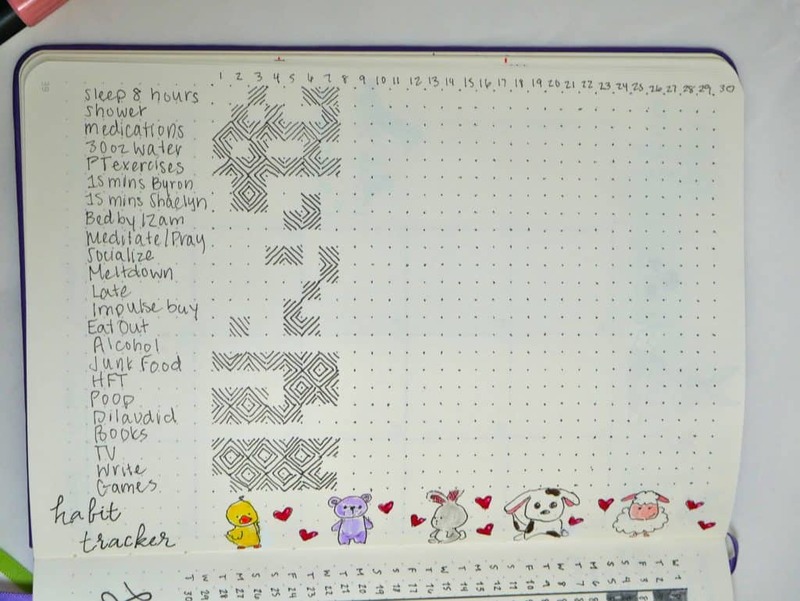 These bullet journal trackers track, well, moods! Beyond that though, how you track the moods varies from person to person. And mood trackers generally fall into a monthly tracker. A monthly mood tracker can be a coloring a doodle or square. Some people will just select the most prevalent mood of the day and use the color they associate with that mood. Other people are more creative and try to combine colors, which can make some really pretty effects! The other type of monthly mood tracker is a chart. Typically it rates on a scale of intensity, and you assign an intensity value to each type of mood for the day. A yearly mood tracker is also another common option, great for people who don’t want to create new charts every month. Most varieties of this are a ‘Year in Pixels’, where the page contains 365 squares. You assign the moods and associated colors. Then for each day, you determine which mood defines the day. 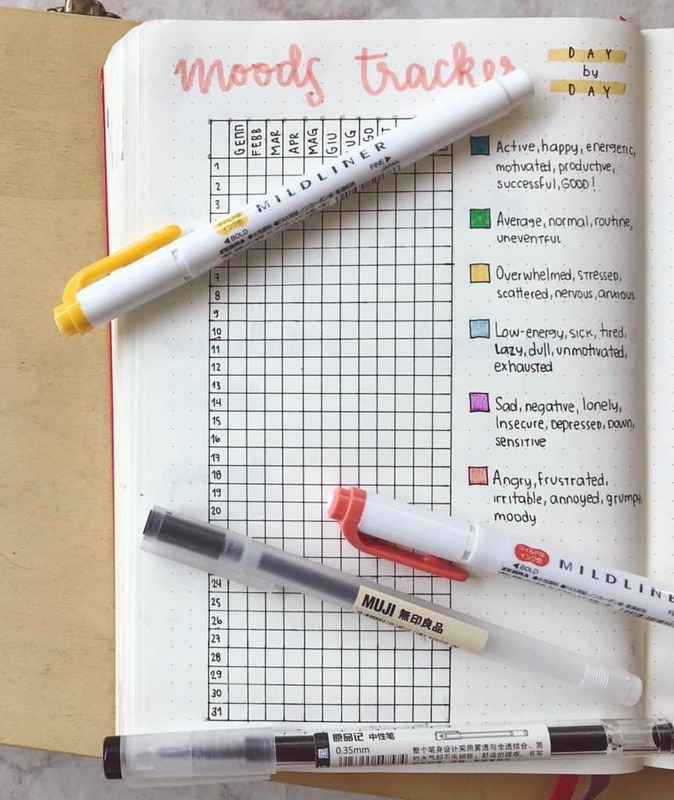 Whether you want to just track your moods for fun, or you’re trying to use it to improve your mental health, you can’t go wrong with a mood tracker! 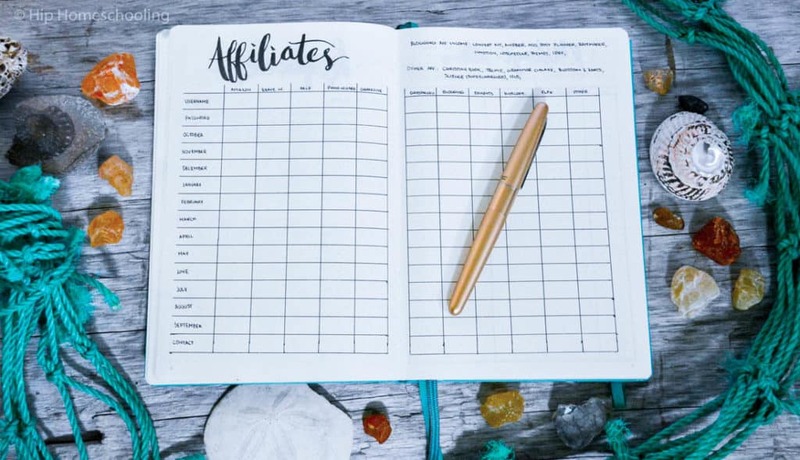 Habit trackers are much more broad than the other types of trackers in this list in that there are no specific values associated with a habit tracker. This sleep tracker is really easy to maintain! These trackers are more informative rather than serving a specific purpose. You are tracking whether you do something, or you don’t. It’s up to you to choose which components of your life that you’d like to track. In fact, if you don’t want to create more detailed trackers on one topic, you can just put them as categories on a general habit tracker. 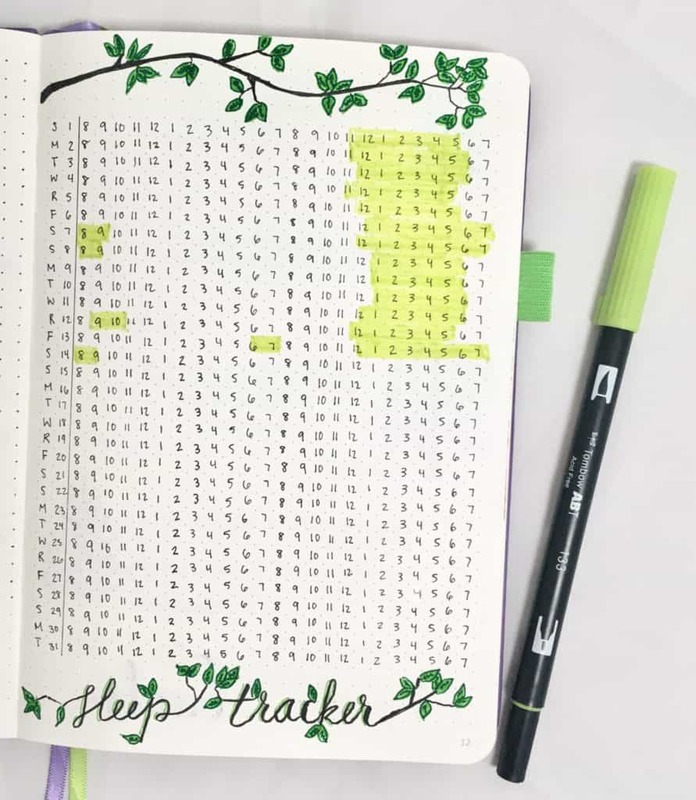 If you want to check out my habit tracker, make sure to read the rest of the article! I posted a picture toward the end. Adore this fitness tracker by Srish! Take a look at her awesome bujo for more here! Exercise trackers help you track when and/or how you exercise. The simplest trackers mark off when you exercise. You may also take it a step further by using it as a guide to your daily exercising routine. These trackers monitor the different types of exercise you complete. You may also track amount of time exercising and calories burned. Awesome tracker for the 21 Day Fix! These trackers are a tad unique compared to many other trackers in that not all of these trackers are numerically based. These trackers can be as simple as logging calories or other numerical values related to nutrition. You may also track the specifics of your nutritional intake. What specific foods and liquids did you consume? Check out this awesome weight loss tracker! Or maybe lose some unwanted inches off a part of your body? 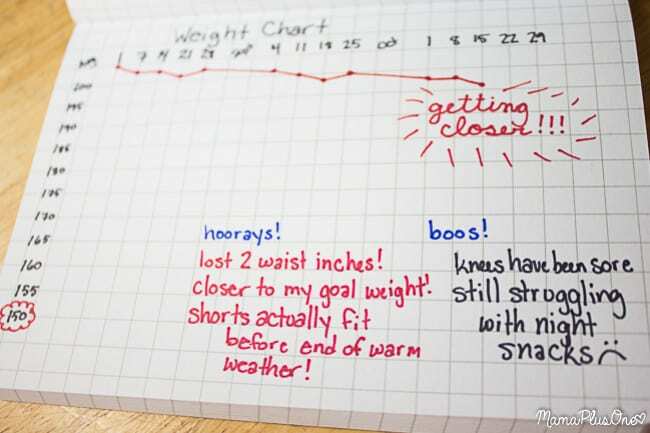 A weight loss tracker is a great tool to track progress. Typically this type of tracking isn’t done daily, like many other trackers. As many of you surely know, weight loss is a ‘slow and steady wins the race’ deal. Hopefully you’ve set up an exercise and/or food tracker that corresponds with this for optimal results! *** If you’d like to know more about health tracking, please read this post about great trackers to improve your health! I love how she set up her goal tracker! Check out more from her Instagram here! In all honesty, a goal tracker is much like a habit tracker. There is only one difference. In this case, you are actively trying to meet your goals consistently. Otherwise, what you choose to track for goals in your bullet journal trackers is up to you. If you aren’t very good at making goals, I wrote this post about creating long term goals in bullet journals. It’s an excellent resource to help develop the goals you’d like to attain in your life, and teaches how to break them down into smaller tasks. Not the best at remember what needs to get done each day? Or each week? Additionally, does your home speak to prove that true? You may find a chore tracker to be hugely beneficial! 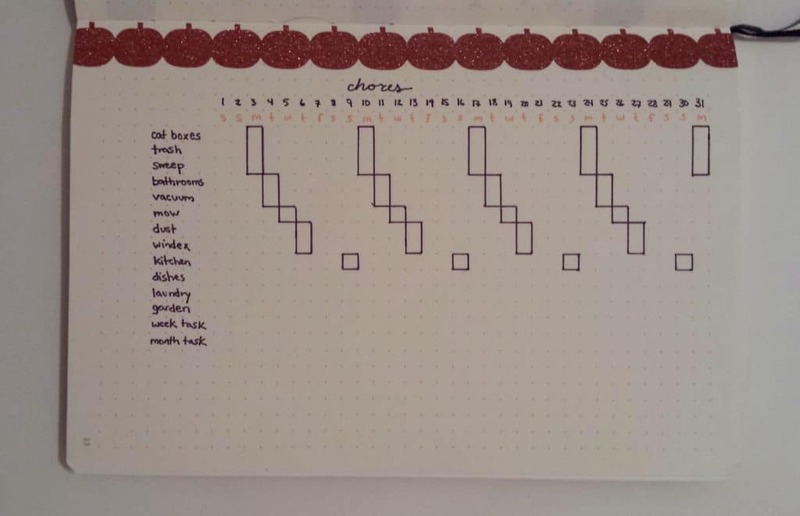 Check out this awesome chore tracker by Becky! While I haven’t had the opportunity to do a chore tracker (yet), you should check out Becky’s article HERE about managing housework in bullet journals! Many special event pages for bullet journals tend to be collections; however, some may also serve as trackers. They also tend to be a bit more limited than other trackers. That is, typically you will track these items for no more than 60 days. Get ready for Christmas with your Christmas trackers!!!! Holiday trackers take many different forms. Many revolve around a ‘countdown’ to a holiday. Consequently, if you need to track unusual behaviors related to the holiday (aka mailing Christmas letters for Christmas), you may find trackers to be useful. 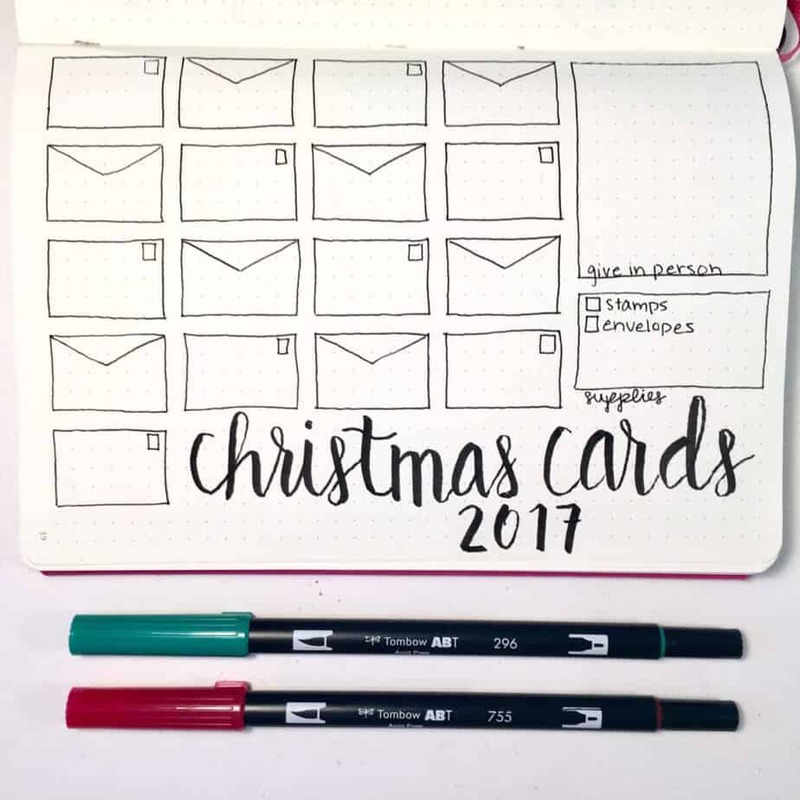 If you want more ideas, I wrote a whole post that you can read about setting up Christmas in your bullet journal! NaNoWriMo- For those who don’t know what this is, this is National November Writing Month. The goal of this event is to write 50,000 new words toward a new book. People frequently track their daily word count and can create goals and rewards that correspond with the trackers. Megan is all ready for NaNoWriMo with this organized tracker! 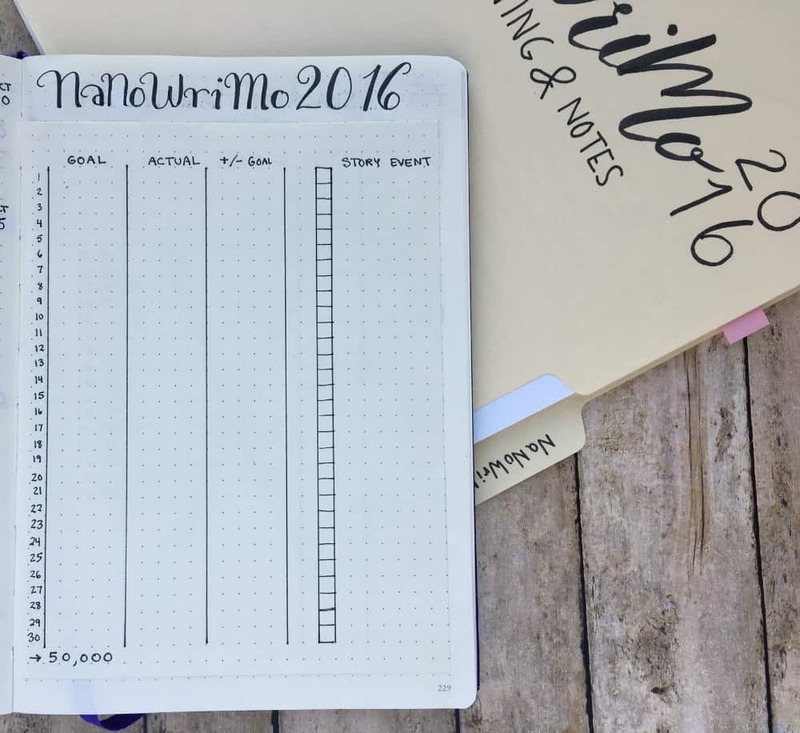 If you want to know more about NaNoWriMo and bullet journals, check out this article by Megan at Page Flutter! The image example is actually from her NaNoWriMo spread! Sorry men, this one probably isn’t for you. For women, periods are a normal part of life. And a lot of women like to track this information for various reasons! Tracking periods can help you understand your bodily cycle, your symptoms, and your moods. If you are actively trying to conceive, or participate in natural birth control methods, a period tracker suits this need, too. If you want to track your period, but you don’t love the idea of creating an entire page dedicated to this natural enemy, there are discreet ways you can do this. I actually track mine in my habit tracker, and label it ‘HFT’ (if you ever find one of my habit trackers and see this, now you know!). If you really want to know what HFT means, you’ll have to send me a message! 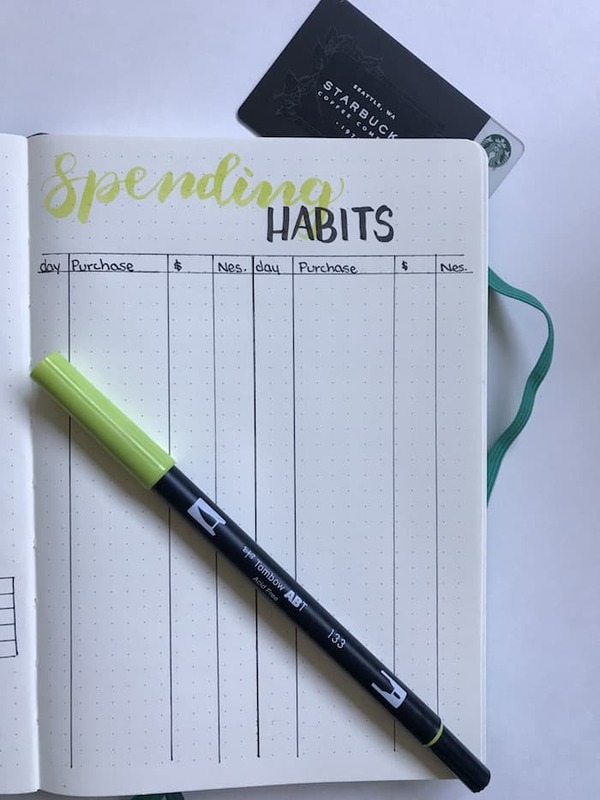 For more ideas, check out this bujo budget by Petite Planner! You may also consider a general budget tracker. In this tracker, you log all of your expenses. Usually it’s done in a monthly format. Make sure to swipe through for this awesome Instagram tracker! Make sure to check out Johanna’s page here! Are you trying to grow a social media account? Are you trying to obtain certain goals for your social media? A social media tracker is an excellent and tangible way to measure your progress. It can also track advertising, expenses, and other important analytics. 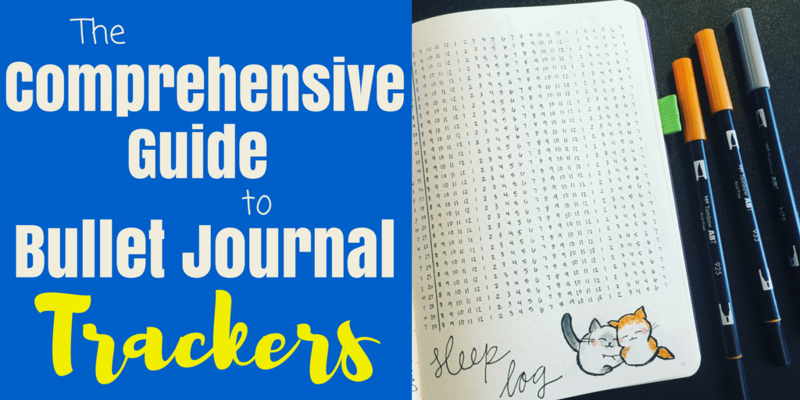 Rebecca has some lovely ideas to track blogs in her bullet journal! Blog trackers are much like social media trackers in that you can track followers, advertising, sales, expenses, and so much more. You can also track blog posts, blog goals, and page views. 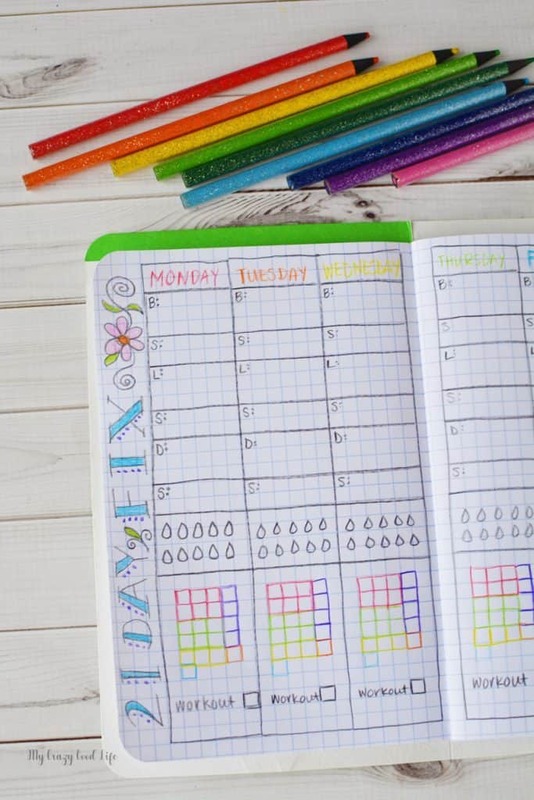 Rebecca at the Hip Homeschooling has some terrific examples to manage your blog in your bullet journal, so you should totally check out this article if you want to learn more! If you have a complex medication management system, or you’re just not good at remembering to take your medications, consider a medication tracker. If you have a disease or condition that involves taking medications at unusual times (diabetes, epilepsy, migraines), you can create charts for those medications. Track which medications you took, why you took them, dosage, and when you needed them. If you frequently take over the counter medications, consider tracking these as well. This information can be very useful to your medical provider. 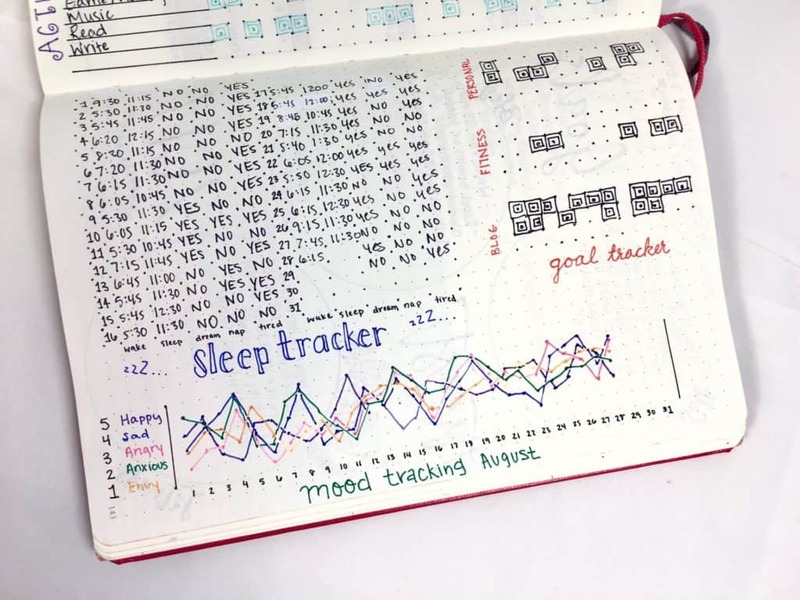 Get inspired by Sera’s work tracker! Get inspired by more of her bujo here! If you aren’t good at remembering to maintain homework or work assignments, consider a tracker that helps you organize and maintain your time and projects. If you want to kill two birds with two stones, Rachel Smith wrote a fabulous article over at Little Coffee Fox about trackers for your bullet journal that hit both school and work at the same time! A lot of people tend to lump bullet journal trackers and collections together. Trackers log data that relate to consistent activities. Whether it’s day-to-day, week-to-week, or even month-to-month, they tend to be relatively consistent. Change only occurs when you determine that what you track is no longer relevant, or you’ve accomplished what you want to track. Collections also log data. But collections typically accomplish one of two goals. OR they log data that does not a consistent time-specific problem. You can certainly create a combination option if you’d like (a collection of chores, and a tracker that monitors when you do them). Some of the best trackers have a corresponding, complimentary collection. Whitney showcases an AMAZING weekly tracker system. If you want to check out more, here’s her Instagram! She also sells her layouts, if you need help check out her shop! I beg you, don’t just make a tracker, fill it out, and never look at it again. Why collect all that data in your bullet journal trackers and do nothing with it? If you haven’t started one, have you considered creating a monthly review page in your bullet journal? It’s the very last page of the month, and it’s purpose is to review the data from the month. A large component of the monthly review comes from the trackers. The monthly review gives you the opportunity to take a look at the data from the trackers and summarize them. It also gives you space to determine what adjustments you should make for the following month. Also worth noting, proper tracker organization is extremely helpful with reviewing them. These layouts teach me so much about myself! A tracker specifically measures data. It tells you if you are or are not doing something specifically. In the case of a food tracker, there may be some more specific details included. In the end though, a tracker solves a problem. The solution could be self-awareness. It may be learning about your growth and change. It can help eliminate problems and create better habits. Not every tracker has proven beneficial in my personal experience. It does take a few months to realize what works, and I’m always open to trying out new things (especially if I feel it could be helpful!). What is the one tracker you find most critical in your bullet journal? Please drop me a note in the comments if you’d like! PS- Want to learn more about what tools I use to make these trackers? Make sure to read about my 7 favorite tools for bullet journals! I’d love for you to share it on Pinterest! Thanks so much for the feature!! Great & comprehensive post! Thanks, Whitney! I’m glad you enjoyed it!!! I love your blog! Do you have blog post/ideas for discbound bullet journals? What a great post – thanks so much. Thought I’d let you know, though, that when viewing the post on a smart phone, the ads are so large and invasive that its pretty hard to read. Hi Kylie! Thanks for the heads up. I’m currently working on a redesign that should hopefully adjust some of the concerns with the ads. In the mean time, I’m glad you liked the post!